roychan started a topic FTP and finally 500k!!! Last edited by roychan; 08-01-2018, 01:32 PM. Yea it takes a long time, and ur GS could be high but things like ur gear effects and monsters will never get as good as p2w's. It's definitely not impossible. Just takes a longer time to do so. 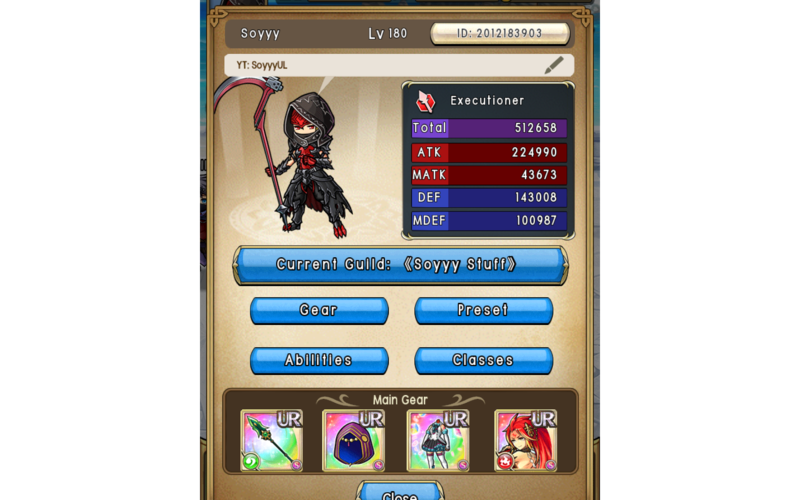 The highest gs ive achieved ( im f2p always) Is 350k . Archer with 120k/120k attacks. Still got him but his monsters are bad. Next alt was mage 290k 120k mattack with 4 nice monsters and still got him too. But I made a new lancer /mage alt 120k ( the one with these monsters on my sign) which ill propably main . Gratz to 500k f2p lol . I thought it was impossible to reach 500k as f2p. I liek ur stats too boi.